Oil exports from Iran collapsed on extended US sanctions in mid-2018. However, the major importers from Iran are going to boost buying benefiting from softer restrictions granted by Washington. The USA met halfway the largest investors (India, China, South Korea, Japan, Italy, Greece, Taiwan and Turkey) and agreed to make some concessions regarding the restrictions. These countries can buy out at least some volumes for another 180 days, so oil exports can hike beginning from December. The US labour market has posted a good performance in October, including non-farm employment figures, as the report of US Department of Labour released today showed. Average hourly earnings rose 3.1% y-o-y, which came in line with the expectations. For reference, the last-month increase was 2.8% y-o-y. As for the unemployment rate, it stays low in the USA, expectedly reaching 3.7% in October, unchanged from September. According to the American economists, a job increase of 200,000 adds some 3% to US GDP. In October, we see as much as 250,000 in the non-farm segment and this fact will support the GDP growth unless this rate is recalculated and downgraded afterwards. The Federal Reserve pays attention to such data as non-farm payroll while determining further revision of the interest rate. In this case, the observed good results can promote further upward revision of the rate during the upcoming meeting of the Fed open market committee. At the same time, the currency market hardly reacted to this report, the market analyst noted. The US dollar is losing grounds in the second half of the week, though ADP posted good enough labour market report. Earlier, traders used this report as a guideline for the outlook regarding the main report to be released on Friday. The private employment rate hiked by more than 200,000, which indicates that the US labour market in a good fettle now. 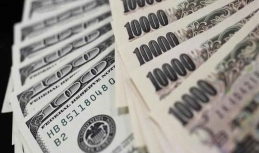 However, fluctuations of the sentiments fueled US dollar weakening. 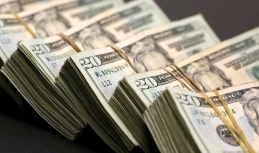 Demand for the greenback as well as risk aversion activities slackened. Extra pressure on the US Dollar index came from the soaring sterling on the recent progress in the Brexit. Specifically, it was reported that the UK and EU representatives agreed that the UK financial companies will maintain access to the EU market after the divorce. 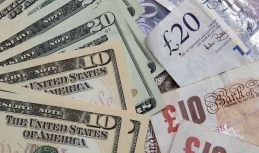 In this situation, the sterling hit 1.29, with the euro follows to toe reaching 1.14. 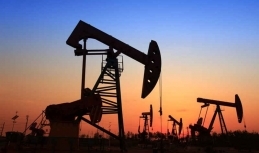 Oil prices decreased at a moderate pace during the Monday trading following the rebound recorded late last week. Brent oil failed to hit the 78 handle, and quotes fell below 77, which has been observed today as well. The commodities market has to cope with several challenges at the beginning of this week. First of all, the USA keeps raising drilling activity, which indicates possible hikes of shale oil production. This week, the players seem to become more optimistic. Specifically, risk assets are on the rise now driven by Donald Trump's statements concerning the long-awaited trade deal with Beijing. The US dollar is getting higher vs the yen this week. The rate is again close to the 113.00 handle, though customers become more careful approaching the psychological level, which means possible profit taking in the market. Investors have become more optimistic about the long-lasting US-China trade war, following recent Trump's message in which he expressed confidence in the agreement with the Chinese party. With this message, the market is naturally somewhat lifting in spirits especially given the previous statements. However, as the market analyst noted, Donald Trump is well known for his changing opinion. However, we should not forget that the US president was not sure that Beijing was ready for the deal. As a result, this is definitely not a progress with the risk to persist. 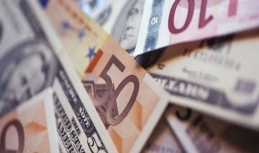 The euro preserves in its attempts to rebound during the Monday trading session. 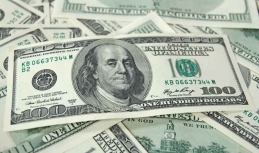 Last Friday, the currency managed to jump from the bottom to some $1.1335. The 1.14 handle is the main battlefront now, as the break of this level may soften sellers' pressure on the euro-to-US dollar rate. S&P agency downgraded its rating outlook for Italy to negative last weekend. However, the rating remained unchanged. At the same time, players mostly feared that the rating would be decreased, and they were happy with such a decision. Meanwhile, in Italy, state bonds rebounded with such background, while the yield dipped. 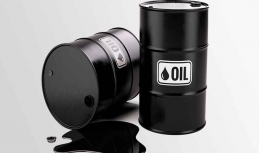 Oil prices somewhat recovered last Friday. 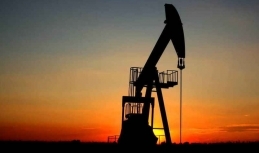 However, oil, in fact, finished the week in the red – the decline had been recorded for the third week in a row. Brent oil keeps trying to hit the 78 handles and move further. For now, the price stands at some $77. 67, after softening during the morning trading. The global stock markets still face selloffs. Specifically, the price upturn in the oil market was restrained last Friday by the US indexes collapse. At the same time, lower Asian benchmarks that can spread to the European markets put pressure on oil on Monday already. The sterling is plunging vs the US dollar on Friday. For now, the currency has hit the bottom since early-September touching the 1.28-handle. Today, the market sees massive sterling selloffs. First of all, Theresa May's resignation is no longer so pressing one. Still, the no-deal Brexit issue still persists. In particular, the Irish border problem is yet to see the solution, while the UK economy seems to slow down. As a result, the sterling becomes less attractive with the players staying restless. Additional pressure comes for the general global market environment. The sterling is the risk asset and naturally depressed by the risk aversion in the market on the trade war and weaker oil. With unclear changes during the Tuesday trading, the euro has resumed sliding in the mid-week. 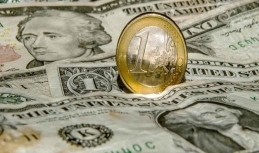 For now, the euro-to-US dollar exchange rate fell below 1.397, hitting a 2-month low in Europe, facing a number of factors. The key pressure is still coming from the so-called Italian dead end. The EU has not approved the proposed budget draft, while the Italian government has refused to meet the EU negotiators half way and revise the budget. As a result, the situation will most likely keep escalation and EU stance can get tighter, which definitely plays against the euro. The additional negative driver is strong demand for US dollar, which is gaining grounds almost everywhere today on anticipated PMI report in the USA. 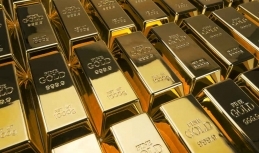 Following the Monday slackening, gold prices have recovered Tuesday and even exceeded 1,235 line for the first time since mid-July. The current price stands at some 1,241. For now, gold seems to restore a connection with the demand for risk assets. Specifically, risks are again the focal point in the world after some break. As a result, the players are restocking on protective assets seeing persisting budget problems in Italy, uncertain Brexit and escalating tensions between Saudi Arabia and the Western World. Seeing the recent rebound above the 1,200 handle, the market is discussing possible signs of the price bottom. And now this guess gain more sense, as the global tension is unlikely to soften so far. Sellers softened pressure on oil prices last Friday, so benchmarks have managed to recover partly. Still, the remained in the red over the week. Brent quotes lost 0.8% and fell below 80 over the past 5 days. The observed oil weakening is related to the negative stance of investors towards the risk, which indicated plunge of global stock indexes. Additional pressure on Brent came from the bearish factors, like soaring crude oil reserves in the USA, though the increase was mostly related to decreased exports. In the next few days, prices for energy sources are likely to remain based on signals from the global demand issue given the upcoming anti-Iran sanctions. For reference, the sanctions against Iran are expected to come into force in about two weeks. In fact, prices already include the above factor, but the possibility of new restrictions can propel prices. Non-commercial traders reduced net short position for bitcoin contracts 40 to 1,330. Large speculators have started cutting net short positions after 2-week upturn. The net position started sliding from the early-September peaks. As for nonreportable positions, net long positions on bitcoin contracts decreased by 40 to 1,330. Besides, they have started reducing positions after 2-week upturn as well. Commercial traders that usually sell against the main trend, did not take part in trading over the period under review. 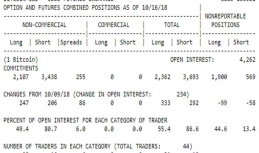 Open interest rose by some 230 to 4,260 contracts. Bearish index of large speculators (short and long positions) decreased 0.11 to 1.63 over the period under review.